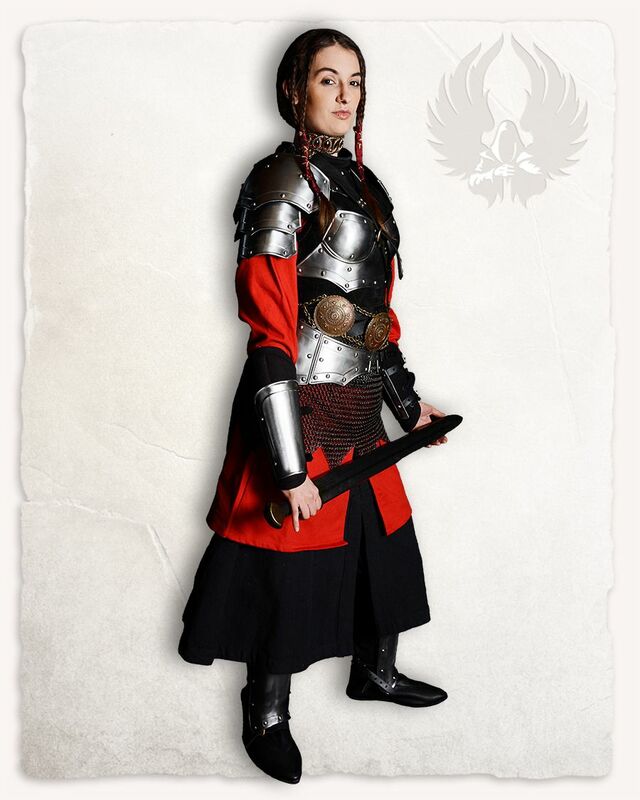 Here at TheVikingStore you can find a full range of LARP quality platemail made from the Mytholon range, and others. 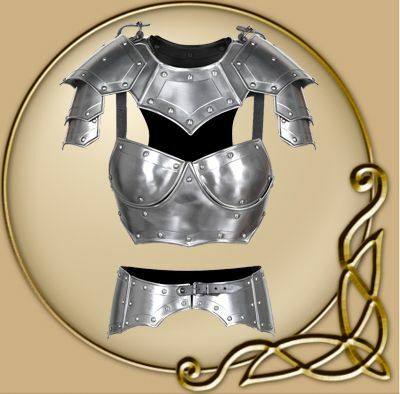 Unless stated otherwise all our armour is made of steel. 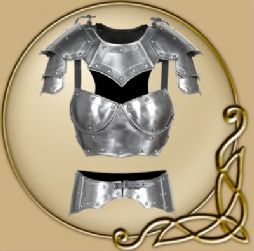 "Mina" was made as an armour for women. Naturally we had to resign from historical patterns, as equality was not that popular amongst the medieval knight. 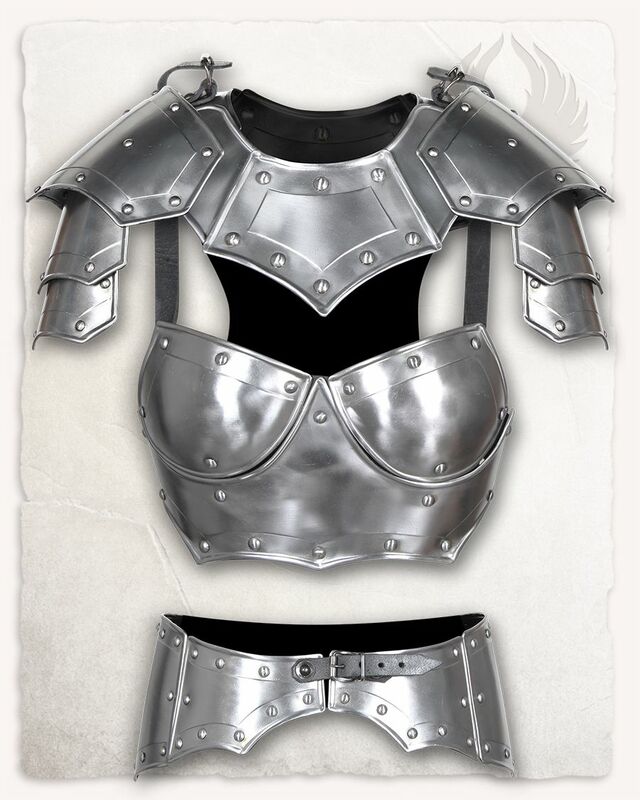 Today we are proud to announce, that there is a way to dress strong women for the battlefield - using this armour set, you will not only be good looking on the field of glory, ladies! The "Mina" armour resebles large parts of our well known "Balthasar" series. The edges with decorative rivets are a continuous detail. Both series can be combined to get a resembeling look. 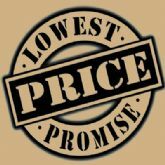 We offer the armour series in a set for a lowered price. The slick pattern with lots of waves and cuts, just as the high movability and comfort when wearing it combine the attractive design with functionality. Usually dispatched within 10-20 working days.